Southfield, Michigan, January 15, 2016. "Garage Gurus(TM)," a nationwide technical education network for automotive service professionals, is expanding to Greater Boston with the January 20 grand opening of a state-of-the-art training center in Stoughton, Mass. With over 7,500-square-feet of training space - the 10th Garage Gurus location to open in the U.S. within the past year - the facility will provide onsite, online and on-demand technical training and product support to repair professionals in the region's more than 5,500 auto service businesses. Garage Gurus is owned and operated by global vehicle components manufacturer Federal-Mogul Motorparts, a division of Federal-Mogul Holdings Corporation (NASDAQ: FDML). A grand opening celebration will take place at the new training center, located at 1053 Turnpike Street, Stoughton, Mass. 02072, on Wednesday, January 20, from noon to 8 p.m. The event is free of charge and open to any automotive service or parts professionals. Garage Gurus is a central element of Federal-Mogul Motorparts' "Tech First" initiative to help repair professionals keep pace with the latest automotive technologies. Federal-Mogul Motorparts offers a broad portfolio of leading automotive brands and products - including ANCO® Wiper Blades, Champion® Spark Plugs, Fel-Pro® Gaskets, MOOG® Steering and Suspension, and Wagner® Brake Products - that are preferred by vehicle service professionals throughout North America. "Garage Gurus brings much-needed focus to the talented, hardworking professionals who help keep millions of consumers safe and secure behind the wheel," said Dan Ninivaggi, CEO, Federal-Mogul Motorparts. "The demand for vehicle service has never been greater, with more than 200 passenger cars per U.S. repair bay. I believe it is our responsibility as a leading manufacturer to provide the technical support and other assistance these businesses need to keep pace with each new wave of vehicle technology." Accessing critical diagnostic and repair information and related skills-based training has long been a challenge for the nation's nearly 220,000 automotive repair businesses. 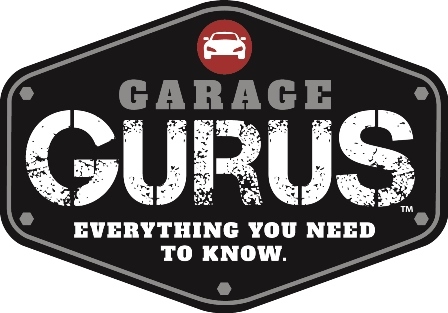 Garage Gurus answers this need through more than 100 onsite, online and on-demand courses taught by Federal-Mogul Motorparts' more than 100 ASE-certified "Gurus." Each course is offered in English and Spanish languages. The Garage Gurus network also offers in-shop support of thousands of repair businesses through its Web-connected "Gurus-On-The-Go" product technology vans. In addition to Greater Boston, Garage Gurus now operates comprehensive technical centers in Atlanta; Baltimore; the Bronx, N.Y.; Chicago; Dallas/Fort Worth; Fort Lauderdale, Fla.; Rancho Dominguez, Calif.; St. Louis; and Van Nuys, Calif. A facility in suburban Detroit is scheduled to open in the coming months. For general information and to enroll in any Garage Gurus workshop, please visit www.FMgaragegurus.com. To speak with the Garage Gurus team, simply call the Gurus Tech Hotline at 800-325-8886. Garage Gurus is a major new "Tech First" initiative from Federal-Mogul Motorparts, providing the most comprehensive platform of technical training and support in the vehicle service industry. We believe that trained and informed techs are the heart of the rapidly changing repair market. Onsite, online and on-demand, Garage Gurus is committed to arming techs with the latest tools and information so they can keep pace with emerging technologies. To learn more, please visit www.fmgaragegurus.com. Federal-Mogul Holdings Corporation (NASDAQ: FDML) is a leading global supplier of products and services to the world's manufacturers and servicers of vehicles and equipment in the automotive, light, medium and heavy-duty commercial, marine, rail, aerospace, power generation and industrial markets. The company's products and services enable improved fuel economy, reduced emissions and enhanced vehicle safety. Federal-Mogul Motorparts sells and distributes a broad portfolio of products through more than 20 of the world's most recognized brands in the global vehicle aftermarket, while also serving original equipment vehicle manufacturers with products including braking, chassis, wipers and other vehicle components. The company's aftermarket brands include ANCO® wiper blades; Champion® spark plugs, wipers and filters; AE®, Fel-Pro®, FP Diesel®, Goetze®, Glyco®, Nüral®, Payen® and Sealed Power® engine products; MOOG® steering and suspension parts; and Ferodo®, Jurid® and Wagner® brake products.